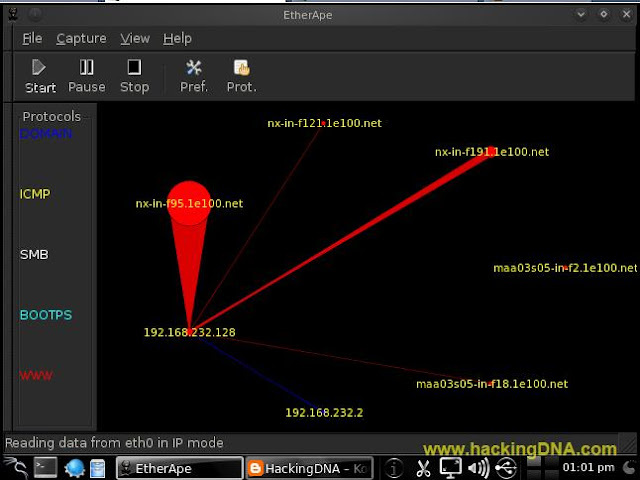 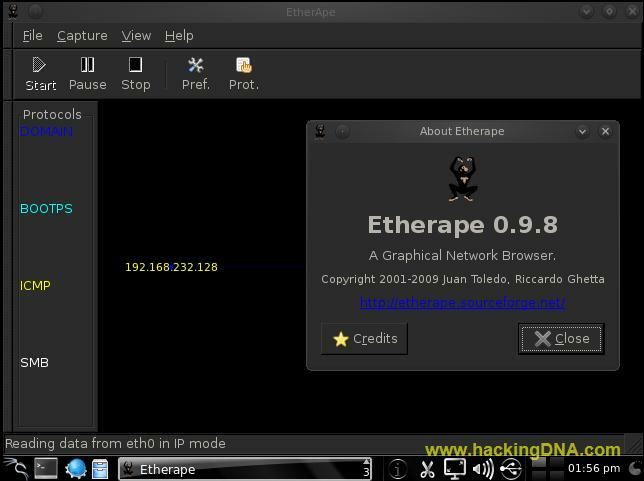 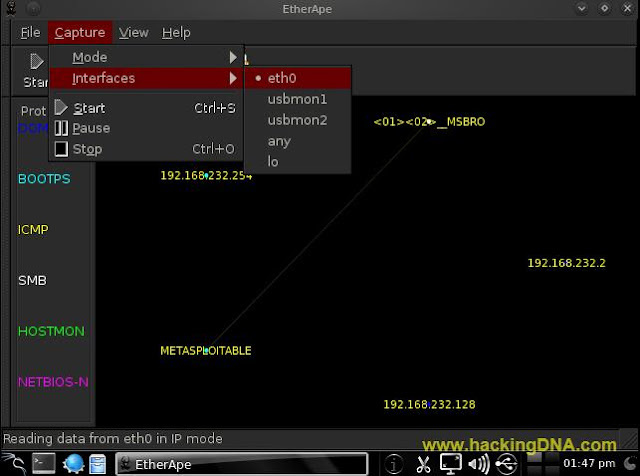 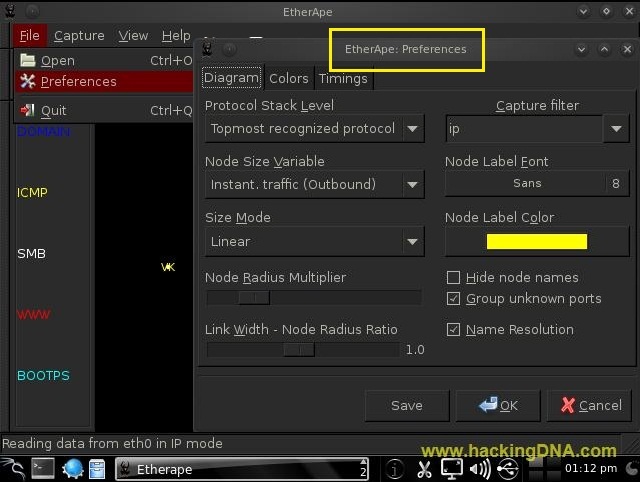 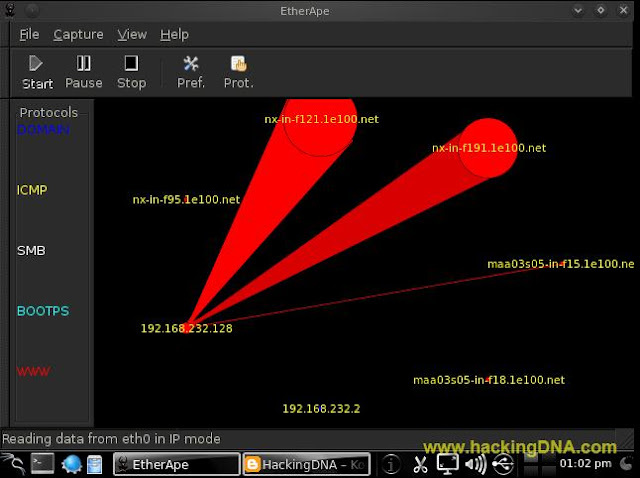 EtherApe is a graphical network monitor for Unix modeled after etherman. It displays network activity graphically. Hosts and links change in size with traffic. 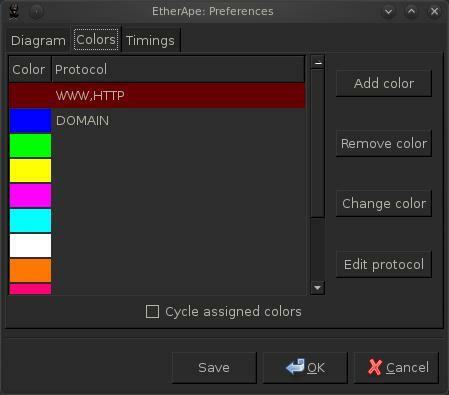 Color coded protocols display. 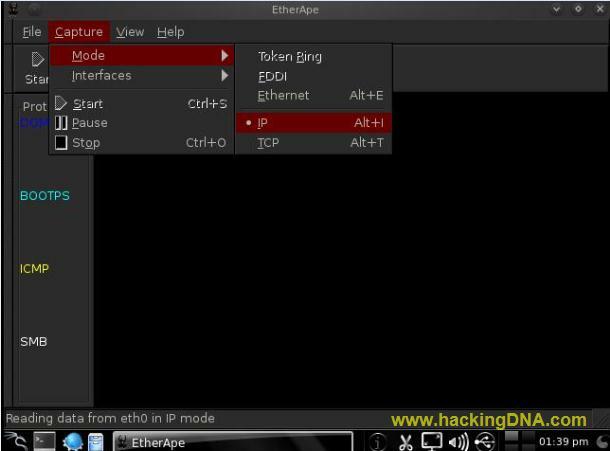 It supports Ethernet, FDDI, Token Ring, ISDN, PPP, SLIP and WLAN devices, plus several encapsulation formats. 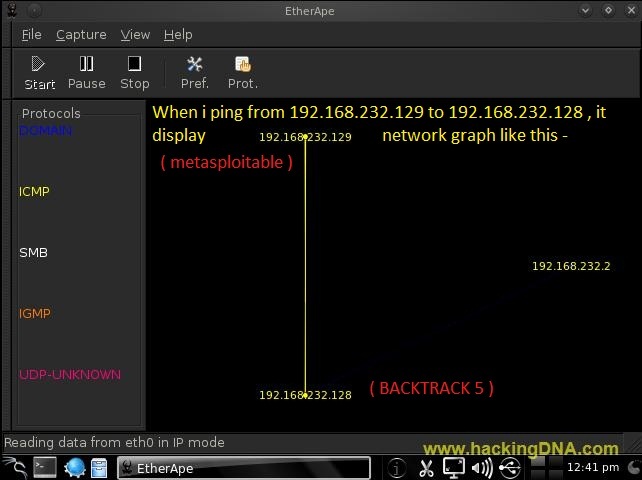 It can filter traffic to be shown, and can read packets from a file as well as live from the network. 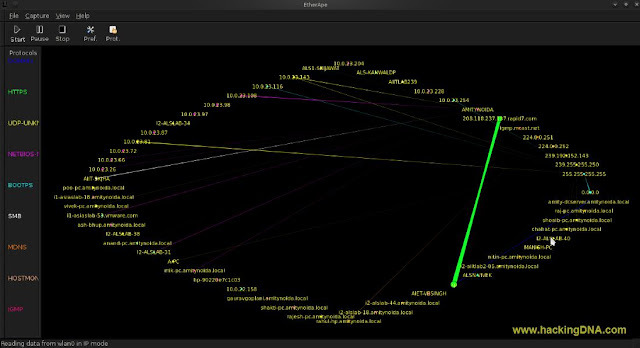 Node statistics can be exported. 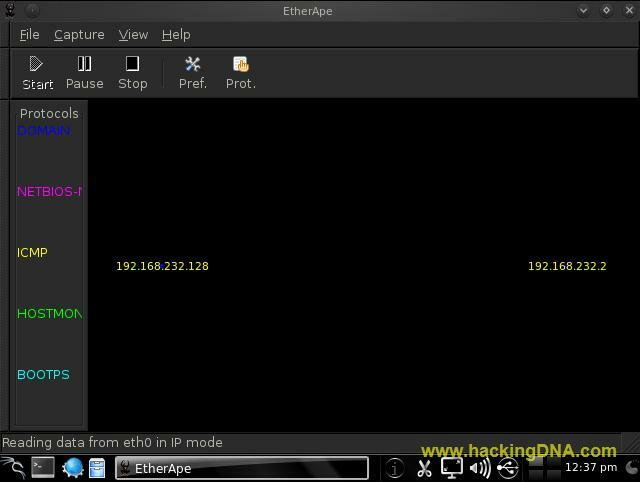 Before moving forward , see the ip address of these operating system because with the help of these OS , I am going to show some examples . 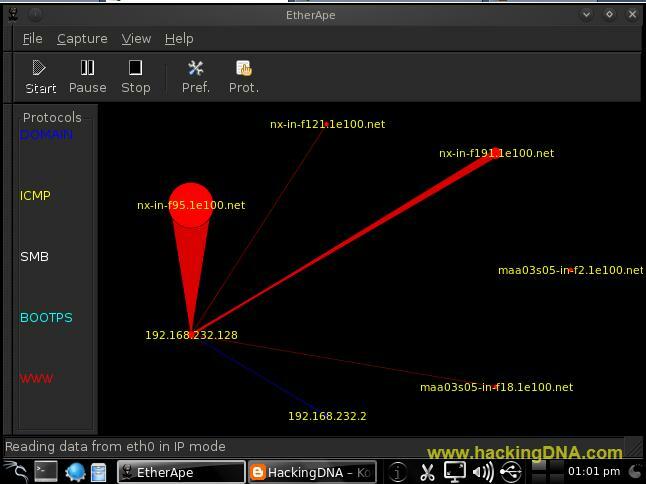 See what happen when we download Nessus Plugin . 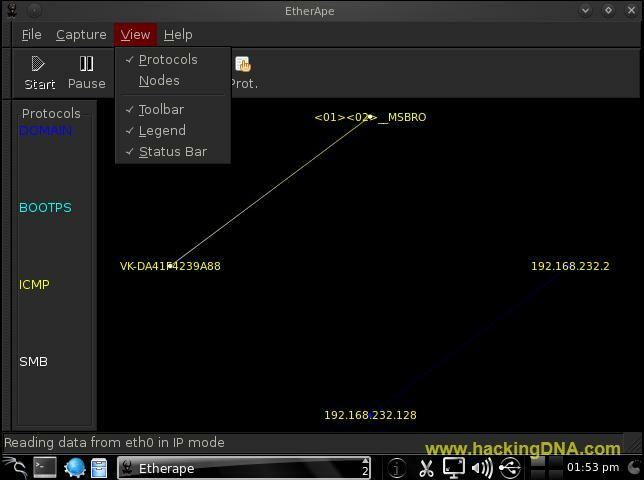 Timings Tab :- From here you can set the timings . 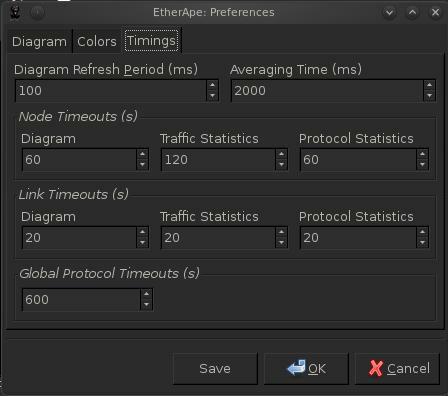 Here you can select your interface . For example my interface is eth0.